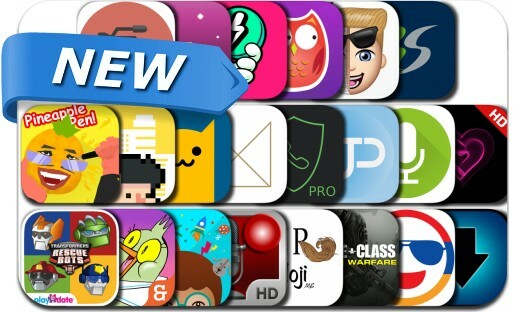 This new apps alert includes Super Slam - Pogs Battle, Nekosan, High Risers, I Have A Pen, Sky Pillar, Filmborn, iDownloader, ACR Hight Quality Record Pro, Live Wallpapers, Create a Class for Infinite Warfare, App Camp Quiz Compendium 2016 and many others. If you have heard that amazing song "Pen Pineapple Apple Pen", you need to play this game! Let's enjoy the song and the game! HYEmoji – Armenia emojis, represent Armenia!